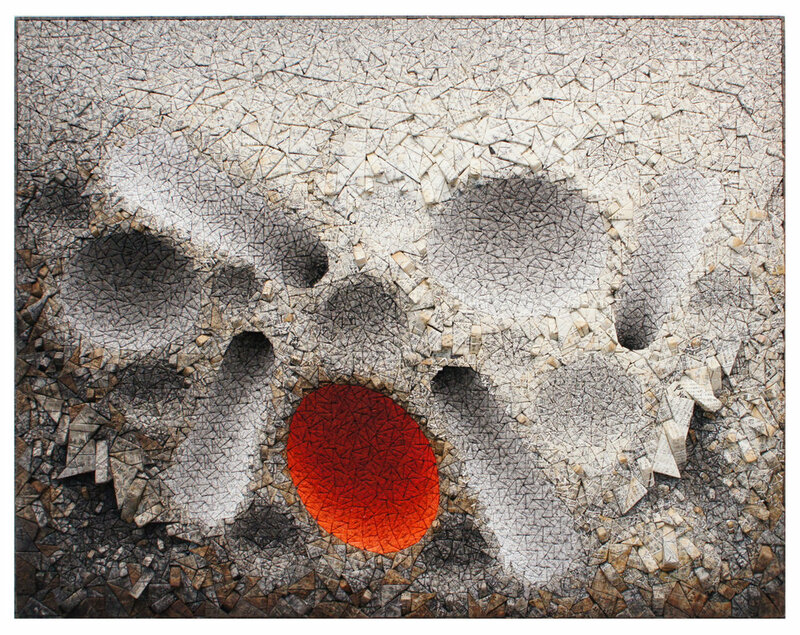 Korean artist Kwang Young Chun incorporates elements of both painting and sculpture in his practice. He is best known for his acclaimed Aggregation series: freestanding and wall-hung amalgamations of small, triangular forms wrapped in antique mulberry paper, often tinted with teas or pigment. The development of Chun’s signature technique was sparked by childhood memories of seeing medicinal herbs wrapped in mulberry paper, tied into small packages and hung from the ceiling of the local doctor’s office. He became intrigued with the idea of merging the techniques, materials and sentiment of his Korean heritage with the conceptual freedom he experienced during his Western education. 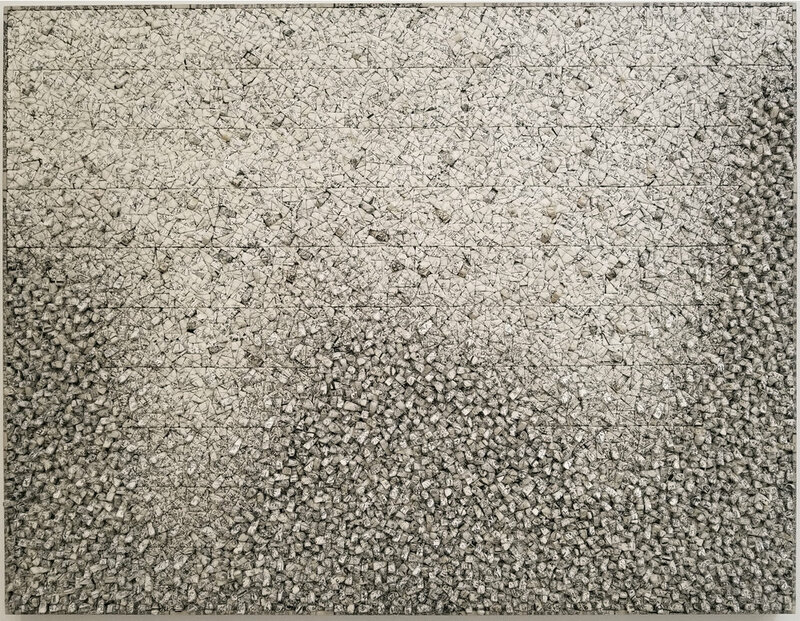 Over the years, Chun’s Aggregations have become more colorful and evolved in complexity and scale, but the use of mulberry paper remains at the core of his practice. Although imbued with the spirit of Korean tradition and history, Chun’s work, with its intricate, abstract compositions, is grounded in a purely contemporary context. His work is in numerous public collections, including The Rockefeller Foundation and the United Nations, New York; the Woodrow Wilson International Center for Scholars, Washington, D.C.; the Philadelphia Society Building, Pennsylvania; the National Museum of Modern and Contemporary Art, Seoul, and the Seoul Museum of Art; the National Gallery of Australia, Canberra; the Victoria and Albert Museum, London; and the National Museum of Fine Arts, Malta.